At Inner Gate Acupuncture we use all of the modalities of Chinese medicine to achieve the best results possible for our patients. We combine massage and stretching to treat painful conditions. We incorporate herbal medicine, moxibustion and cupping to offer comfortable options for treatment. 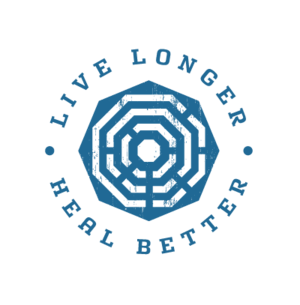 Nutritional support and dietary guidance are also available in our clinic. Acupuncture is an ancient technique that promotes your body's natural healing process through the placement of thin, sterile, single use needles into precise acupuncture points. A patient's signs and symptoms determine which points to use. Acupuncture is a safe and effective treatment. Clinical research continues to prove its validity and fuel it's growth and acceptance. Acupuncture has none of the toxic side effects associated with pharmaceutical medications. Learn more. Sports Medicine Acupuncture® integrates Traditional Chinese Medicine principles with Western sports medicine. Practitioners are extensively trained in the following: Evaluation of injuries and orthopedic disorders, postural assessment, anatomy in great detail, and relating the acupuncture channels discussed in Traditional Chinese Medicine to anatomical structures. Learn more. Naturopathic doctors specialize in the prevention, diagnosis, and treatment of all acute and chronic illnesses. Naturopathic medicine is a combination of natural traditional practices and modern medical approaches. Modern naturopathic doctors are primary care physicians and experts in holistic and integrative medicine. Naturopathic doctors treat many health conditions, ranging from seasonal allergies and common colds to menopause and Irritable Bowel Disease. Learn more. Chiropractic medicine is a safe and natural health care option offering a holistic approach that incorporates sound medical knowledge to treat a multitude of acute and chronic conditions. Our chiropractic adjustments are non-invasive treatments that manually adjust the spine, other joints, and soft tissues to restore proper alignment of the body’s structures. These chiropractic adjustments improve the mobility of bodies structures restricted by injury and reduce pain. Learn more. Herbal medicine is an important component of Chinese medicine. It has been practiced safely for over two millennia. Chinese herbalists were proficient observers who recorded much of the healing and pain relief they achieved, passing the best formulas on to future generations. Chinese herbal medicine is used effectively to treat a wide variety of diseases, ranging from the common cold to menstrual pain to extreme trauma. For best results, Chinese herbal formulas are often prescribed to reinforce acupuncture treatments and help build strength and vitality in the body. We can either build custom, granule formulas or prescribe classic formulas that are in easy-to-take pill form. Tuina massage is a Chinese style of massage that is used alongside acupuncture to treat a wide variety of health complaints. 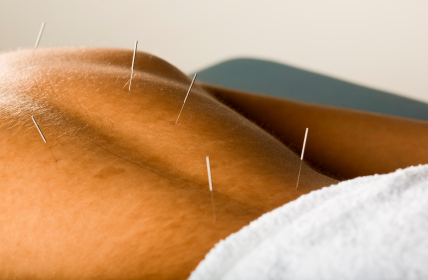 Tuina works along muscles and at specific acupuncture points to relieve pain and stiffness. At Inner Gate Acupuncture, our acupuncturists have all been trained to use tuina massage techniques to speed healing and quickly reduce pain. As tuina practitioners we diagnose using specific orthopedic exams and then work to correct any muscular or skeletal imbalances we discover. Moxibustion is a traditional Chinese medicine technique that involves the burning of mugwort, artemesia vulgaris, above the skin. Moxibustion has been used for thousands of years to strengthen the immune system and stimulate blood flow to initiate healing and maintain general health. The heat easily penetrates joints providing relief for arthritis and joint related pain. Cupping therapy is a method of using suction to pull or move stagnant fluids and blood out of an injured area. Either glass or plastic cups are placed on the skin for up to 15 minutes to create the desired affects. In this simple way cupping reduces pain and relaxes tight painful muscles. Cups are also regularly placed over the lungs to stimulate lung qi and improve lung function. In this way it works to combat the early symptoms of a cold, stimulate expectoration of phlegm later in a cold and reduce the frequency of asthma attacks.